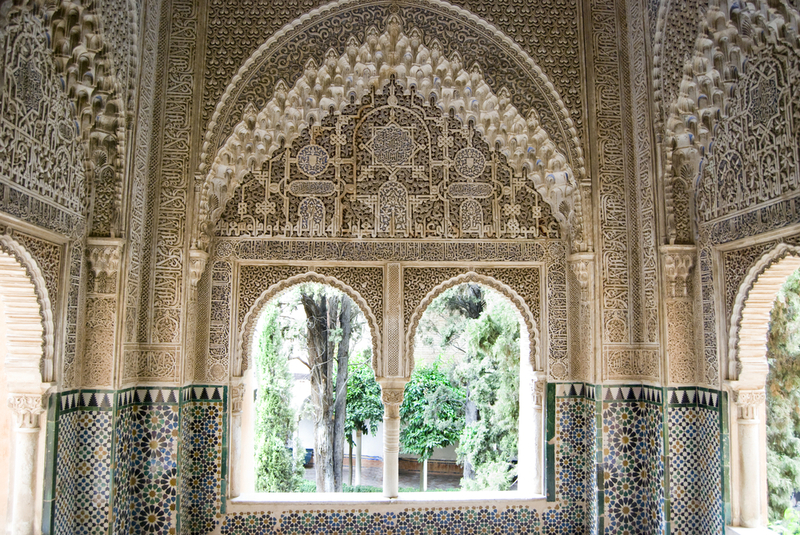 The beauties of the Alhambra in Granada are known worldwide. Take a look at what you must know before visiting this spectacular World Heritage Site. The Alhambra in Granada is the most renowned monument of the southern Spain, and some say, even Europe’s. In 2015, some 2.5 million visitors enjoyed its palaces and breathtaking views over the city of Granada. In fact, the Alhambra sits on a hilltop in the centre of the city, which allows the visitors to spot the neighbourhood of Sacromonte, the Albayzín and the rest of the city that extends towards the South. The spectacular monument of the Alhambra provides its visitors with every kind of emotion. Thanks to its thousand-year history, it is characterised by Islamic, Christian, and gipsy culture, making it one of the favourite spots for both tourists and locals. 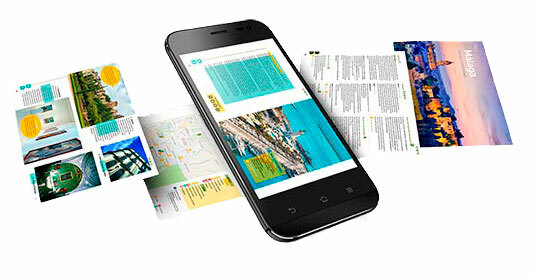 Let’s discover some information and fun facts about one of the most famous monuments in the whole world. And if you need some tips on how to book tickets for the Alhambra, we’ve already got that covered! The first time someone mentioned the Alhambra was in 900, as al-qala’at al-hamra. This name was the Arab for “Red Castle”, which referred to a red-brick building on the top of Sabika Hill. In 1237, Muhammad I, the founder of the Nasrid dynasty, converted the Alhambra in his fortress, by building the Alcazaba. 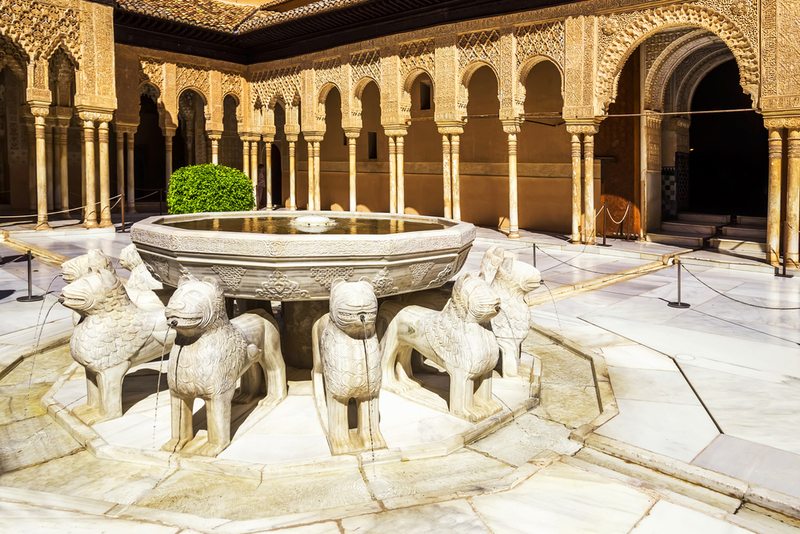 During the Nasrid kingdom, the Alcazaba got the Generalife gardens, the Nasrid Palaces, the Comares Palace, and the Lion Patio added to its already breathtaking structure. In 1492, the Catholic Kings conquered Granada, and they converted the Alhambra in a royal palace. In 1527, Charles V had the Renaissance-style Palacio de Carlos V built by destroying part of the ancient Moorish architecture of the Alhambra. The Alhambra was then left at the mercy of vandals and fires. The lowest point of its history occurred when it was used as a barracks during Napoleon’s occupation of southern Spain, and it was almost blown up. Finally, at the end of the 19th century, the Alhambra was restored and brought back to its ancient splendour. Nowadays, everyone agrees that the Alhambra in Granada is one of the most magnificent buildings the human race has ever made, so much that it was declared World Heritage Site in 1984 by the UNESCO. If you are planning a visit to the Alhambra, make sure to visit the most important monuments and buildings in it. First of all, you can’t miss out on the Alcazaba, and the towers that surround the original citadel. Once there, go up on the Torre de la Vela, and enjoy the Alhambra’s best viewpoint. 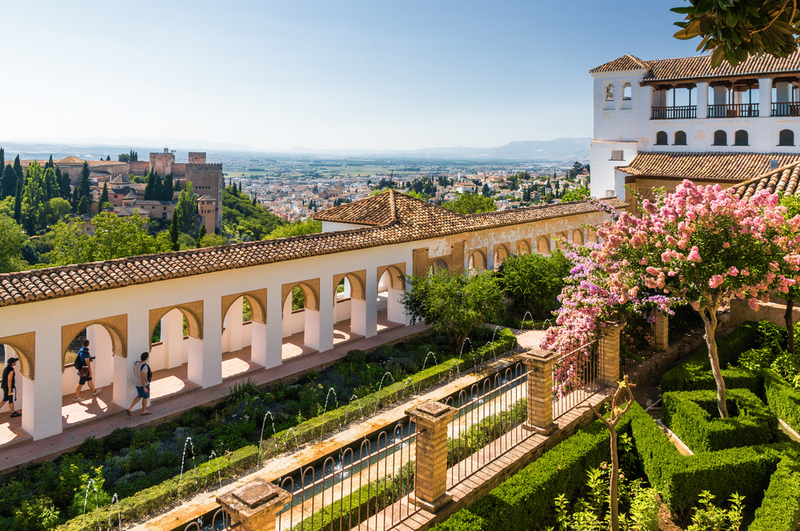 Of course, you can’t help but visit the Generalife gardens, characterised by an appealing waltz of pathways, patios, fountains, pools, trees, and flowers that will make you live a five-sense experience in the Alhambra. Then, move towards the Nasrid palaces, which are still considered the highpoint of the Islamic culture in Europe. Le Mexuar, the Comares Palace, and the Lion Palace have been used as royal residences for centuries, since their construction in the 13th century. The latter owns the breathtaking Patio de Los Leones, a patio surrounded by 124 marble columns, where a figurative 12-marble-lion sculpture characterises the patio’s central fountain. Lastly, visit the mesmerising Palacio de Carlos V, built in 1527 by King Charles V to celebrate the victory of Christianism on Islam. The most noteworthy feature (if only one has to be mentioned) is the Renaissance patio, with a double arcade and a diameter of 30 metres. Visiting the Alhambra in Granada will fill you with beauty and unforgettable moments. Therefore, you will need to relax after such an overwhelming experience. Check out the best holiday homes and villas in the province of Granada, to fully enjoy the Alhambra and everything else Granada has to offer. Now you know why the Alhambra in Granada is one of the most visited monuments in the world. Have you already been to the Alhambra in Granada? What do you think about it? Tell us in a comment below! Thanks for share the great history of the Alhambra.